When I tried my hand at snoods I used the 1942 'Perky Snood' instructions in conjunction with this video that uses the pattern in the below image from the chawed rosin. I used a 2.35mm hook with pearl #5 yarn. Here's a few other snood patterns I discovered in my snood adventures. 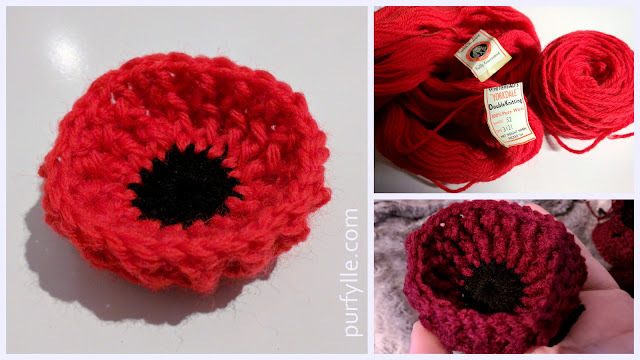 I came across this snood in a Ravelry discussion that links to the pattern on the Way Back Machine, I haven't tried this snood yet, it is worked in the round. 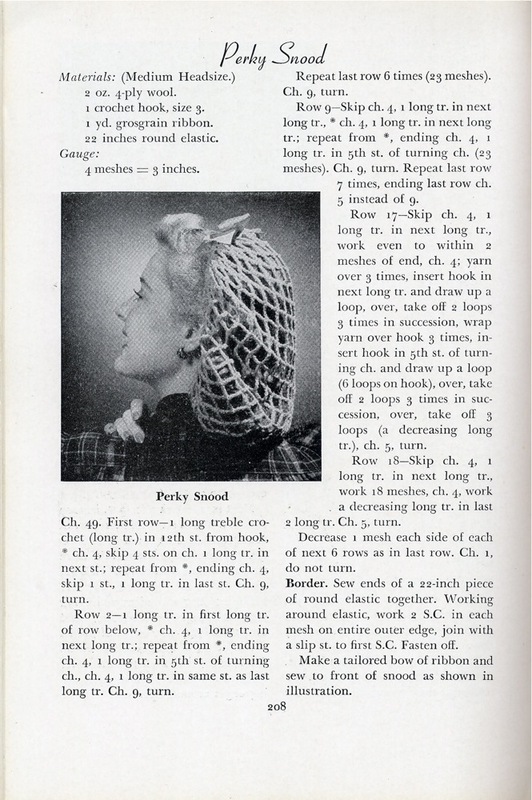 A half snood pattern I have yet to try, 1945 Loop-The-Loop Snood, another Way Back Machine find. I tried this vintage snood pattern, it showed promise but didn't turn out right. Perhaps I read the pattern wrong. I learnt a lot making snoods. That different yarn gauges make a huge difference. On the left you can see the crochet perle which I also used in the bobbin lace caul v1.1 and on the right is a heavier bamboo yarn, giving a very different look to the finished snood. I also learnt that adding a metallic thread changes the drape, adding beads takes a lot of time and there are several different ways to finish the snood for drawstring and elastic. Although it takes longer to make and uses more yarn I prefer the method that accommodates both a ribbon drawstring and elastic. thanks for sharing the links to the crochet patterns for snoods! I have purchased some before but it would be great to make my own! You're very welcome. 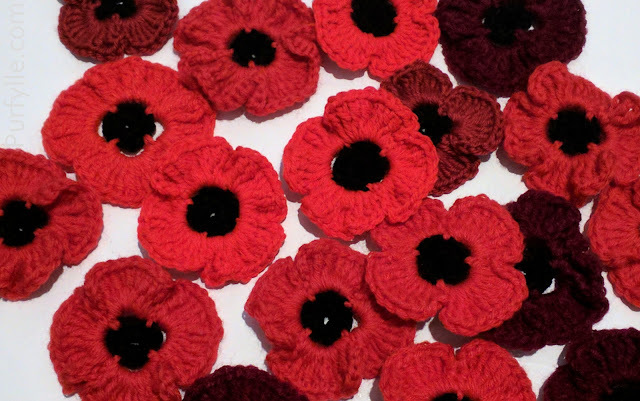 I'd love to see them if you do make a snood or two.